The recent Bring A Trailer ad for Palm Beach 21Z-5155, created a lot of interesting comments about Palm Beach's. One in particular from Wayne Goldman caught our eye. 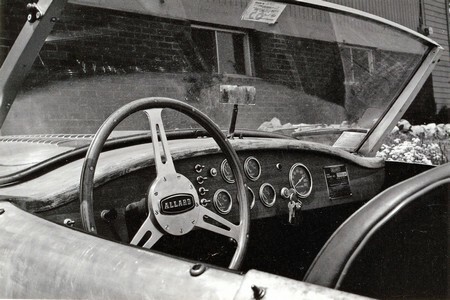 Wayne bought a Palm Beach in the late sixties and threw the Ford Zodiac engine and gearbox away. 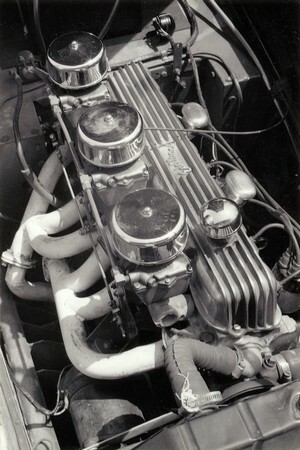 In its place, he installed a 170 cubic inch Ford six with a three carb manifold, H & M cam, etc. and a 4 speed gear box. Wayne notes that the car, "went like a bat out of hell, but the 4:1 rear axle was too high for highway use so I narrowed a Ford axle which had the same bolt pattern as the original wire wheels and the car was great. I had a friend who was the top SCCA Corvette driver in New England and he could only beat me by 50 feet in a 1/4 drag race. 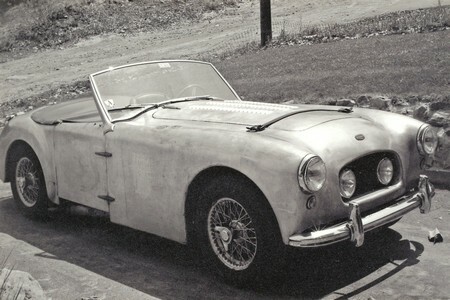 The Ford 170 six was popular with midget racers and it would wind up to over 8,000 RPM…"
Sadly Wayne lost track of the car and we haven't been able to decipher the chassis plate which was reattached to the dash. If you know anything about the car, please leave a comment or send us a note. Incidentally, Wayne also has a bunch of interesting (and good) racing photos that he took back in the 50's. Click here to visit his site. The Allard Dragster is Complete!